If you’ve never driven a car with Weber carburetors, I highly recommend it. 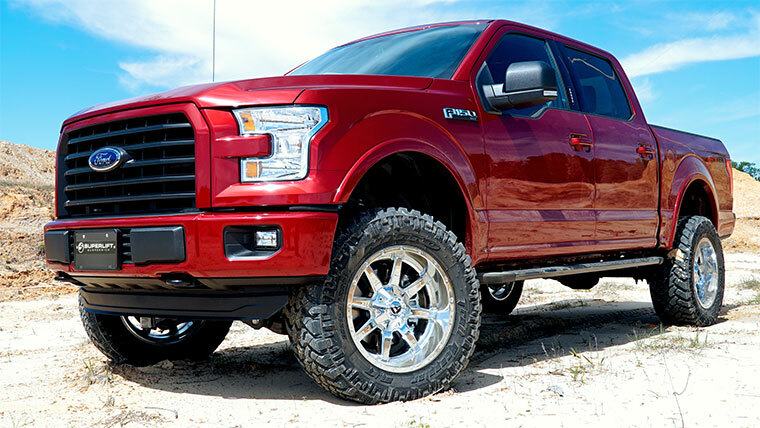 You simply can’t match the super crisp and sensitive throttle response of an 8-stack induction system. Inglese, makers of jewelry-like Weber-style induction systems, has mastered the linkage and tuning issues common with multi-carb kits. They have now applied this experience to their new EFI induction systems. 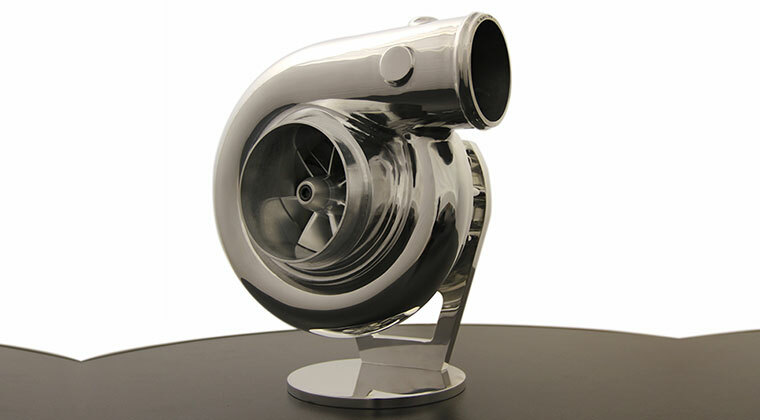 The Inglese EFI Induction Systems may look like classic Weber induction, but these highly advanced systems deliver performance capable of supporting up to 1000 hp engines. Inglese uses Fuel Air Spark Technology (F.A.S.T.) 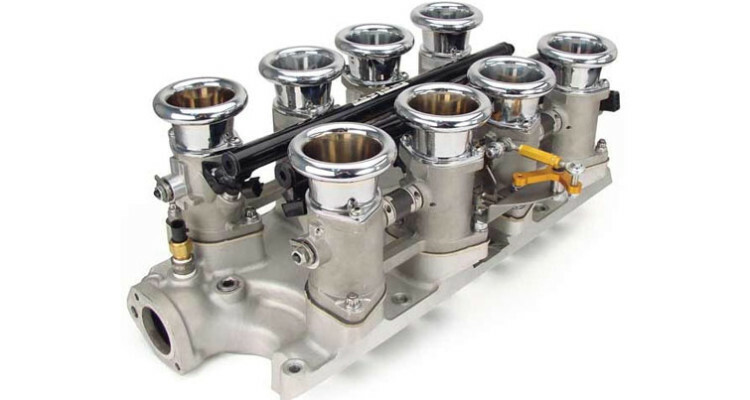 advanced XFI electronics Dual-Sync Distributors and Precision-Flow Fuel Injectors (GM LS7 type) integrated into precision cast aluminum 50mm IDA throttle bodies. 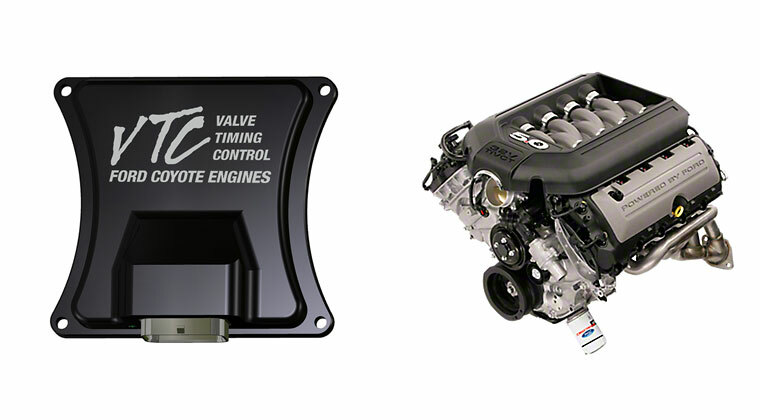 Best of all, with your Inglese EFI system camshaft choice is greatly increased, allowing for precise targeting of the horsepower and torque to be generated – something not possible with standard Weber carbureted engines. 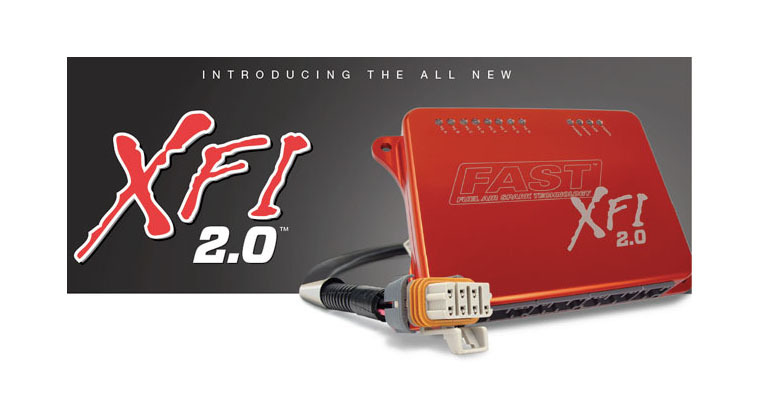 Inglese EFI Induction Systems can also be purchased without the FAST XFI engine controls and distributors for use with existing EFI engine controllers. 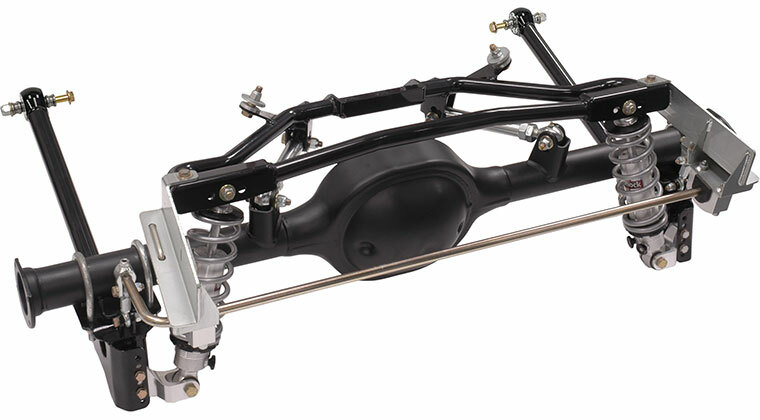 The Inglese EFI systems feature an aircraft-quality hex aluminum linkage designed to provide trouble free actuation. 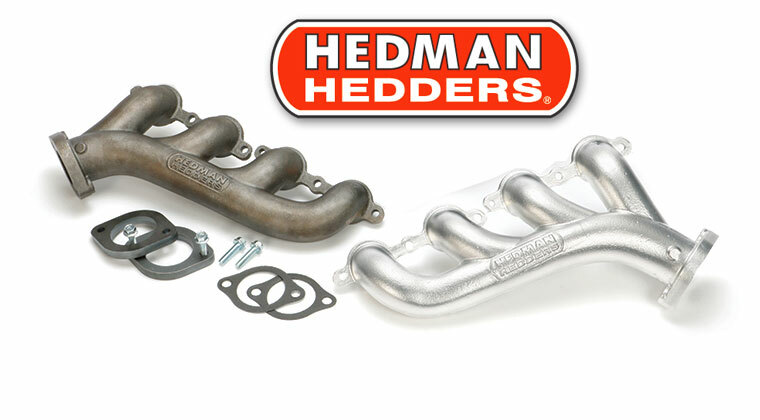 The manifold uses custom-engineered, low-profile fuel feed rails that sit below the stacks and between the throttle bodies. This amazing system is engineered to deliver trouble-free service under normal heat environments and avoid the common binding found with many inferior systems. To properly design the Inglese EFI system that’s right for your engine, follow four simple steps. 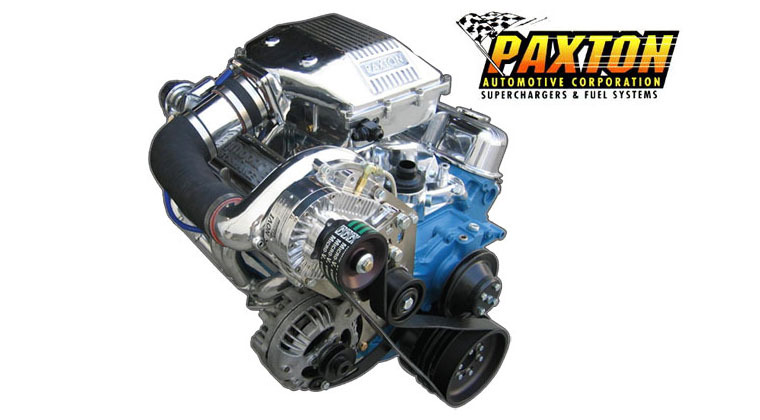 First, choose the “base kit” determined by the type of engine you have (base kit will include the intake manifold, throttle body assembly and complete FAST XFI kit and Dual-Sync Distributor). Next, choose the correct injector size for your system based on the targeted horsepower to be achieved. 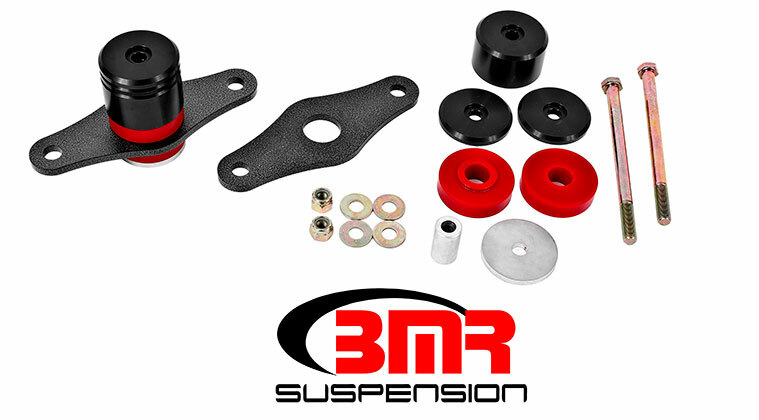 Third, select the size and finish of the velocity stacks and finally, the proper fuel pump kit. An Inglese expert can provide invaluable guidance in the selection of these components. Contact Inglese for help putting together your custom Inglese EFI Induction System. If you’ve never driven a car with Weber carburetors, I highly recommend it. You simply can’t match the super crisp and sensitive throttle response of an 8-stack induction system. Inglese, makers of jewelry-like Weber-style induction systems, has mastered the linkage and tuning issues common with multi-carb kits. They have now applied this experience to their new EFI induction systems. The Inglese EFI Induction Systems may look like classic Weber induction, but these highly advanced systems deliver performance capable of supporting up to 1000 hp engines. Inglese uses Fuel Air Spark Technology (F.A.S.T.) 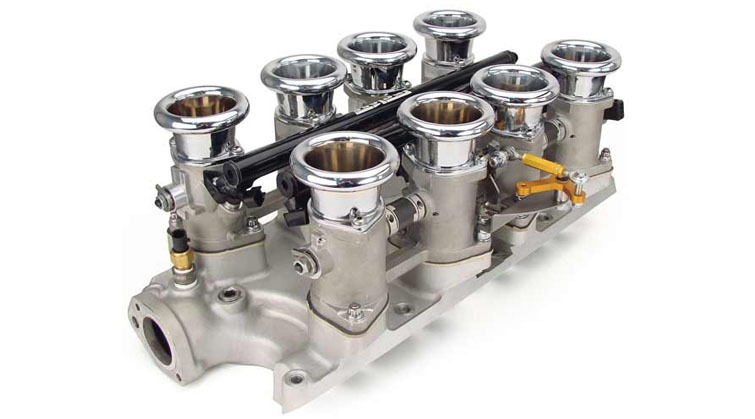 advanced XFI electronics Dual-Sync Distributors and Precision-Flow Fuel Injectors (GM LS7 type) integrated into precision cast aluminum 50mm IDA throttle bodies. 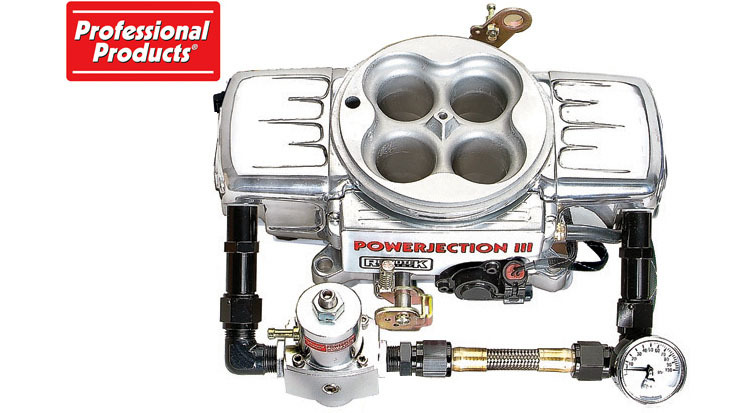 Best of all, with your Inglese EFI system camshaft choice is greatly increased, allowing for precise targeting of the horsepower and torque to be generated – something not possible with standard Weber carbureted engines. 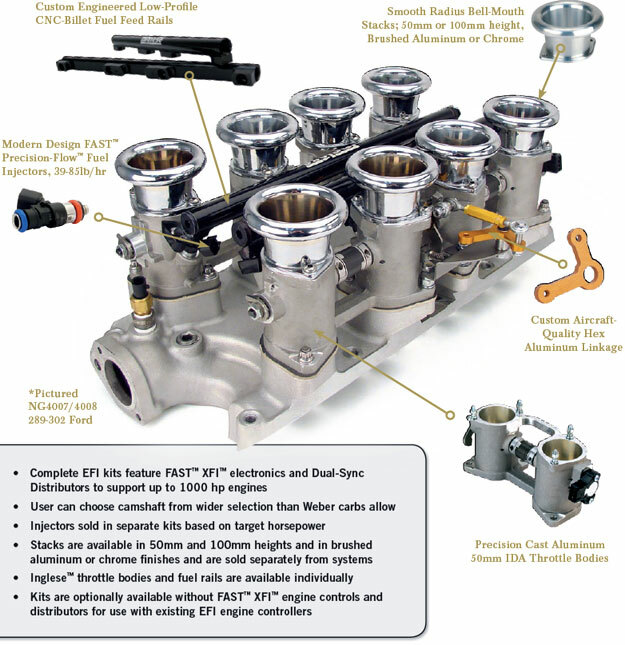 Inglese EFI Induction Systems can also be purchased without the FAST XFI engine controls and distributors for use with existing EFI engine controllers. 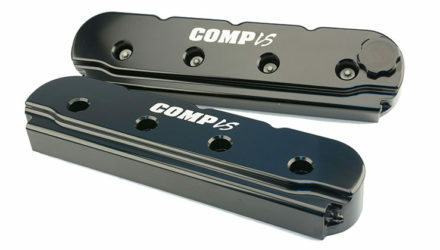 The Inglese EFI systems feature an aircraft-quality hex aluminum linkage designed to provide trouble free actuation. 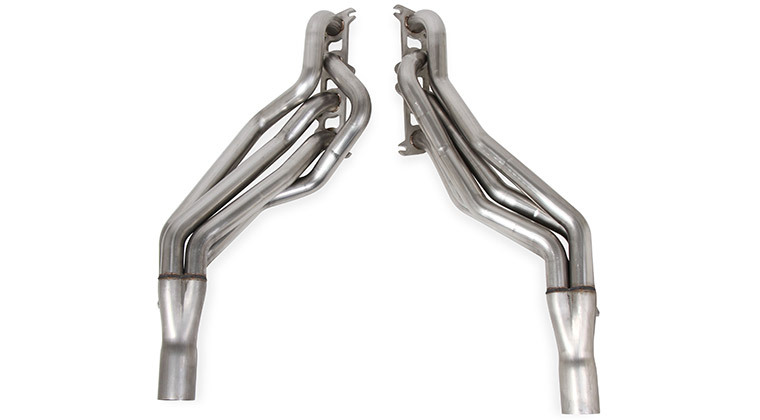 The manifold uses custom-engineered, low-profile fuel feed rails that sit below the stacks and between the throttle bodies. 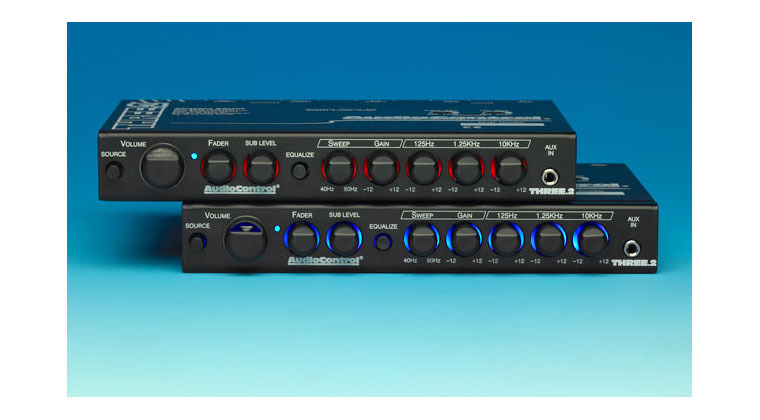 This amazing system is engineered to deliver trouble-free service under normal heat environments and avoid the common binding found with many inferior systems. 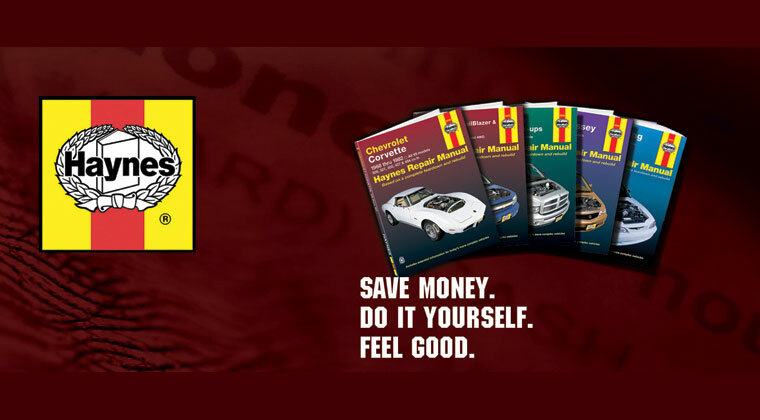 To properly design the Inglese EFI system that’s right for your engine, follow four simple steps. First, choose the “base kit” determined by the type of engine you have (base kit will include the intake manifold, throttle body assembly and complete FAST XFI kit and Dual-Sync Distributor). 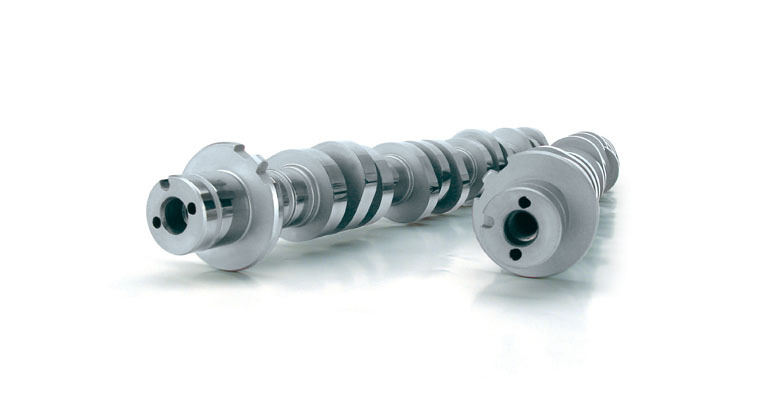 Next, choose the correct injector size for your system based on the targeted horsepower to be achieved. Third, select the size and finish of the velocity stacks and finally, the proper fuel pump kit. An Inglese expert can provide invaluable guidance in the selection of these components. Contact Inglese for help putting together your custom Inglese EFI Induction System.